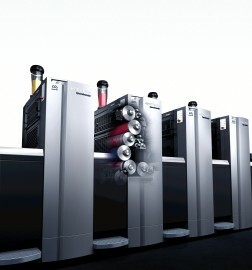 Your Heidelberg equipment probably represents the most valuable asset in your business. Because so much depends on its performance, servicing it at regular intervals is the only way to preserve your investment. To help you in this task, we developed an original service agreement concept based on two complementary programs: For the first 36 months, we offer SystemService 36plus, an all-inclusive service package that far exceeds industry standards. Complementing SystemService 36plus, the Heidelberg Partner Program is a service agreement concept based on your specific service needs. Both programs offer peace of mind by delivering the right service at the time, and money savings through calculable costs that protect you from unpleasant surprises. For our Prinect software products, we offer scalable maintenance contracts which keep your systems always up to date.